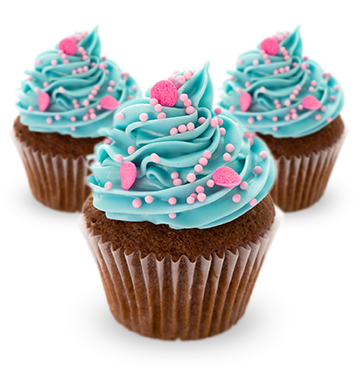 cuppybaker | Delicious cupcakes in a few minutes! 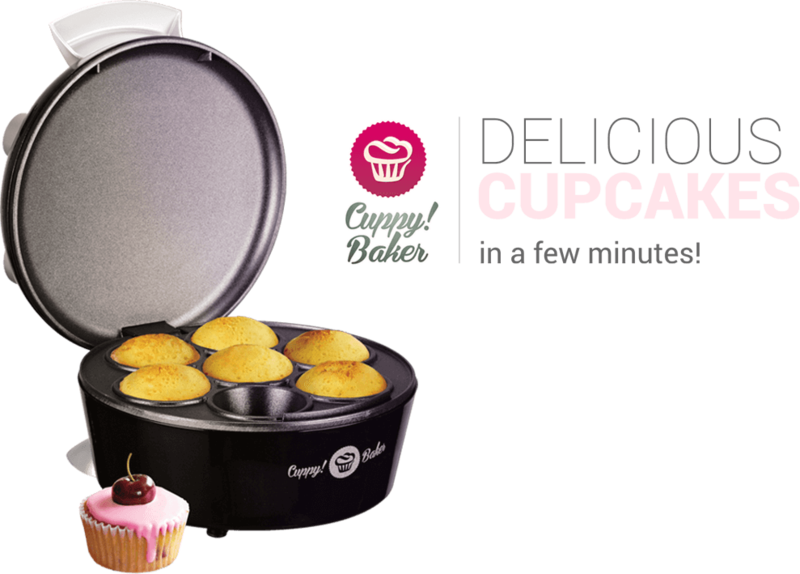 Prepare and decorate delicious cupcakes in a blink! Take care of your Cuppy! Baker ™ A little spoon of oil // Every day, before preparing your cupcakes for breakfast, add a little spoon of vegetable oil on the lower and upper plates and spread it all over the surface. At full throttle! Warm up your Cuppy! 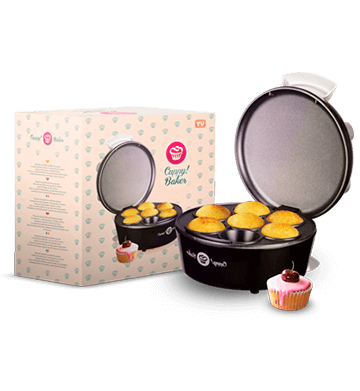 Baker ™ // Before starting cooking our cupcakes, we have to switch on and warm up Cuppy! Baker ™. In the meantime, we can choose our favourite recipe! Getting down to dough Prepare your little cupcakes // Once you decide which cupcake you fancy today, prepare the dough! Try to choose always natural ingredients and to follow the quantities indicated on the recipe! Almost ready! Pour the dough in your Cuppy! Baker ™ // Pour what you have prepared into the moulds of Cuppy! Baker ™. Fill in just 2/3 of the mould, as the dough will become bigger with heat! Time to try your cupcakes! Your cupcakes will be ready to serve in a few minutes! // Warm up your cupcakes during the time indicated on the recipe. Remove the lid and stick a toothpick in one of them. If it is dry when you remove it, your cupcakes will be ready to decorate and eat! // Fast baking. In just 5 minutes!